I love balloon dart paintings and have always wanted to make my own balloon dart painting, but as it turns out, that requires a lot of paint, a huge canvas, and is dangerous for kids. 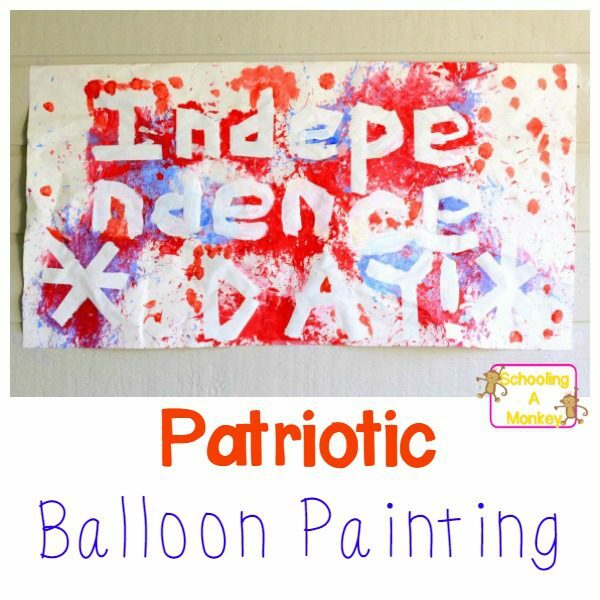 So, instead of doing that, we created our own version of a balloon painting and made our own patriotic balloon painting. 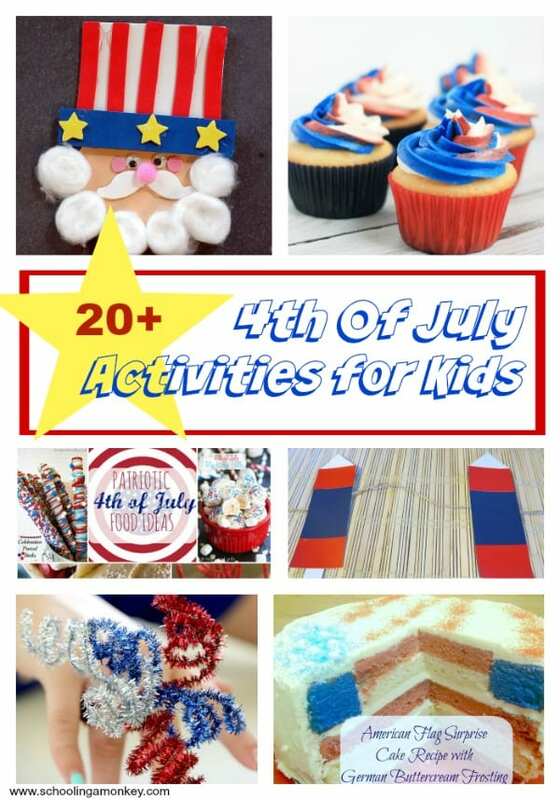 It was tons of fun, and the kids loved it. Just as a warning, this balloon painting project is MESSY. Even using washable paint we had paint everywhere. 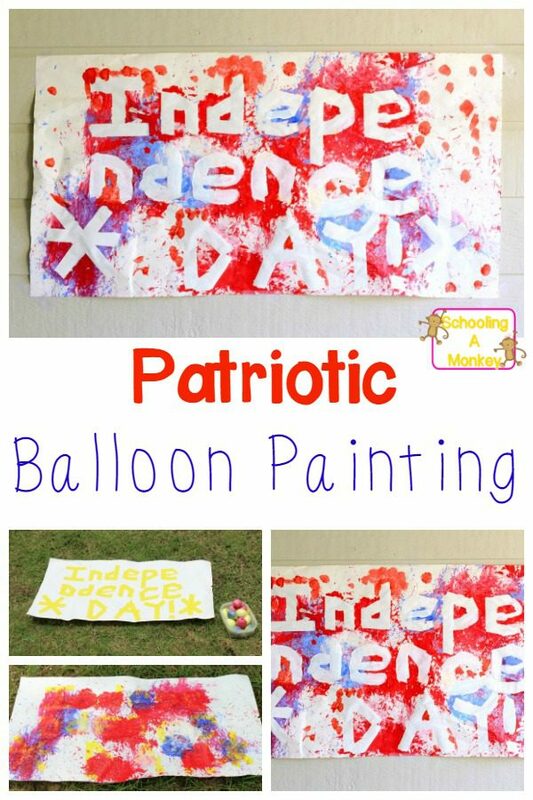 Use this guide to make your own patriotic balloon painting. Use masking tape to outline any design that you want on your paper. 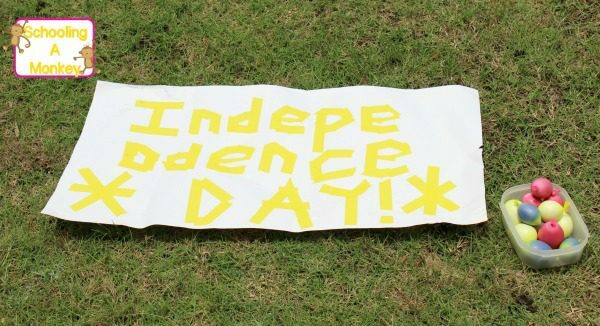 We spelled out “Independence day.” However, this was rather time consuming, and it ended up being difficult to peel off the paper. So next time, we will likely paint on any words after the paint bombing. Fill your balloons with paint. I was surprised by how much paint this took. We had fairly large containers of paint, and using a container and a half of paint, we only were able to fill about a dozen balloons with paint. We found the best way to fill the balloons was by wrapping the end of the balloon over the tiny lip on the squeeze bottle and holding on for dear life while paint was squeezed into the balloons. Even still, we had some explosive balloons. We kept the mess level down a bit by placing a large bowl to catch the paint under the balloons as we were filling them. I also did all the balloon filling. A teen might also be able to do this. Tie a knot into each balloon to keep the paint from spilling out. Spread out a large area of butcher paper onto the grass. 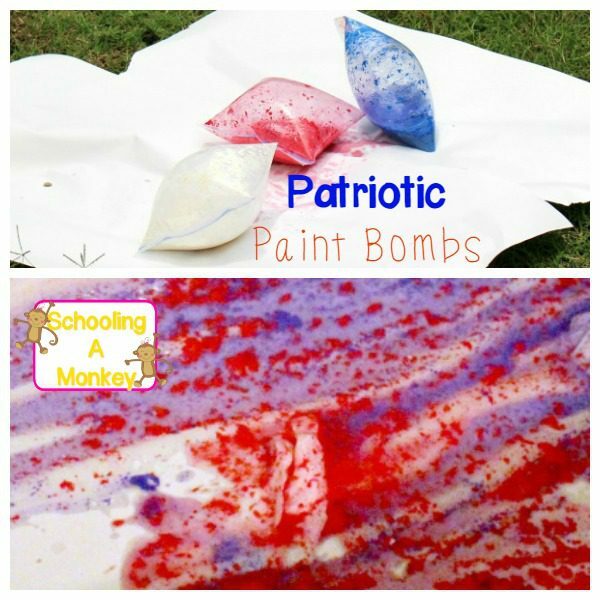 The water balloons bounce a lot, so make sure to cover a larger area than you think you will need. 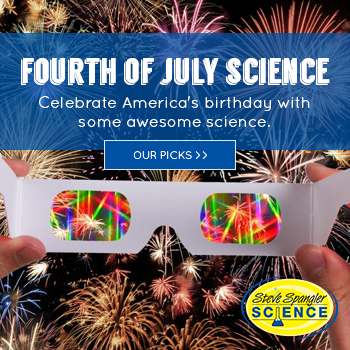 Our balloons usually hit the paper, bounced, then exploded the second time they hit the ground. 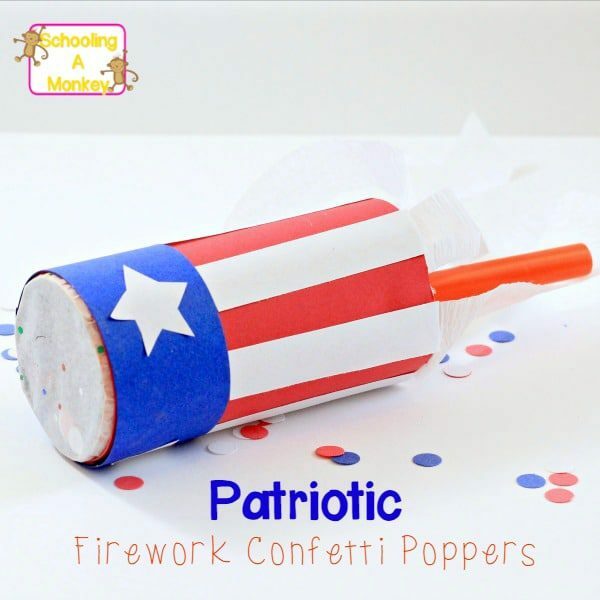 Toss the balloons at the paper and watch them explode. One day, I think it would be fun to have a paint bomb war. It would be incredibly messy, but such fun! When the paint dries, take the paper into the house and either peel off your masking tape to reveal the design or paint a design in white over the top of your paint explosions. 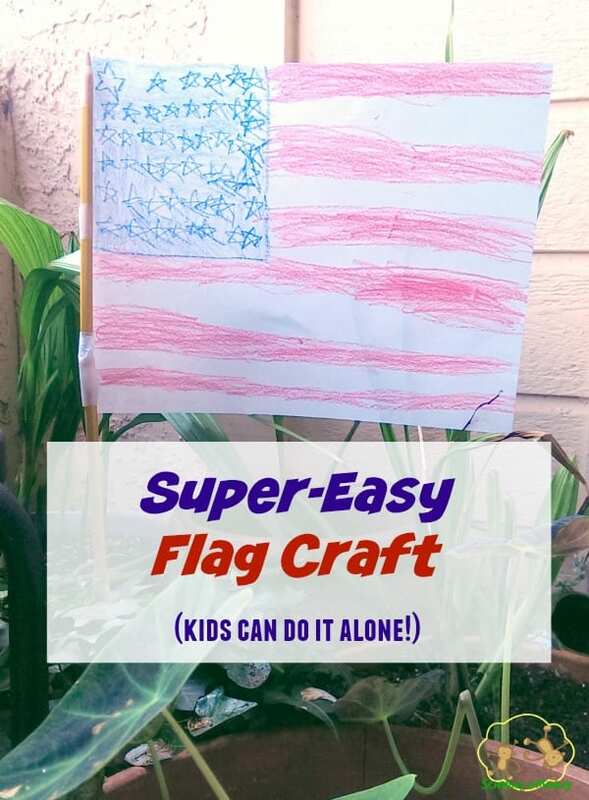 Let it dry, then hang your paper up to show your patriotic spirit! This would make a fun banner to carry in a 4th of July parade.